If you follow me on any social media platform then you will know that I am always getting some sort of offer or deal so I thought that it was time to reveal how I find these deals especially as I know that soon people will be going to university and you may need these tips! 2: O2 Will Become Your Best Friend. I honestly can't thank O2 enough. I'm not advertising them but they will help you out quite a lot if you're a student and you're on their network. If you don't want to go onto their network then that's fine. 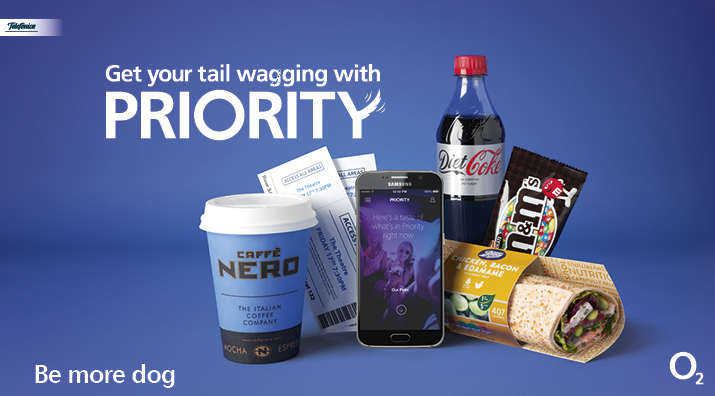 The Priority App thats available to O2 customers will help you out so much. Theres normally something cheap or free on there within the week so if you need something to help you out then you can check the app and then go and get it. There's a reoccurring Caffe Nero free drink offer on every Tuesday at the moment which means you can have a pick me up on Tuesday if an essay deadline is on a Wednesday or within that week or a catch up with a friend over a free drink. It has helped me out so much this year! 3: Oops. It Will Help! Go into your store. I'd say quite lateish (unless you want a good sandwich offer from Boots then go around 4ish?) and search around to see if there is anything on reduced. Reduced may seem icky but it works and honestly it will help for when you're getting sick of eating the same thing but only have a couple of quid for something to eat. Do you do any of the above? Let me know down below! I hope that you have enjoyed my three little tips for surviving for when things get tough on the money side within college/university/whatnot. I hope that you come back for more posts!